State Dept. 's response to detaining of activists to keep them from the pope is to point out a sharp tweet - but nothing more. Strengthening the criticism against US President Barak Obama's historic rapprochement with the Castro regime in Cuba, reports surfaced Tuesday of how Cuban security officials banned dissidents from meeting Pope Francis amid his visit. The pope met with Fidel Castro on Sunday, and is to leave on Tuesday for the US where he will meet Obama and address Congress. Cuba's actions to crackdown on dissidents during the visit would seem to illustrate for many the fallacy of Obama's contentions that renewing ties with the island country will change its stance on democracy and human rights. On Saturday prominent activists Marta Beatriz Roque and Miriam Leiva were detained by authorities before they could accept an invitation to meet with the pope. They were also kept from a vespers service with the pope on Sunday, at Havana's historic cathedral. Likewise 20 activists with the opposition group Las Damas de Blanco (Ladies in White) were banned from a Mass service with the pope, and activists passing out pamphlets at the service were apprehended by the authorities. The Washington Free Beacon asked the US State Department to comment on the crackdown on dissidents, to which it was referred to a tweet last Saturday by US Ambassador to the UN Samantha Power reading: "HR activists, @DamasdBlanco & even homeless reportedly detained before @Pontifex visit; disappointing business as usual for #Cuban govt." Despite the lone Twitter message, no robust condemnation was heard against the detaining of activists around the major visit by the pope. That may not be a surprise however, as dissidents were also not invited to the reopening of the US embassy in Havana that took place last month. US Secretary of State John Kerry did meet with activists afterwards. As part of the move to normalize ties, the US officially dropped Cuba from its blacklist as a state sponsor of terrorism, allowing the country to have better access to American banking facilities and aid, and meaning a ban on arms exports and sales is also lifted. 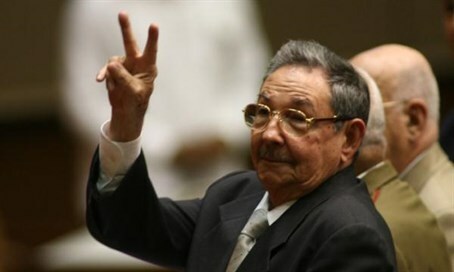 However, Cuban activists accuse the Obama administration of turning a blind eye on democracy and human rights by making rapprochement with the Castro regime even as activists continue to be detained and abused. The group Cuban Commission for Human Rights and National Reconciliation reports that no fewer than 71 political prisoners are still jailed in Cuba. The regime also is reportedly trying to hide the full number of prisoners by holding dissidents on shorter repeating terms rather than a single long sentence.